ERGONOMIC MOUSE WITH PROVEN RELIABILITY! 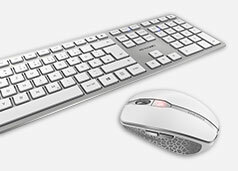 Auerbach, August 31, 2016 - CHERRY, the specialist for computer input devices, has expanded its affordable MC mouse series with a new model: the MC 3000. Apart from its ergonomic design, this cable mouse offers great functionality at a low price without compromising on quality. Main features of the MC 3000 are its optical sensor and plug & play installation. 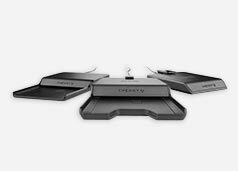 With the MC 4000, CHERRY has gone for a high-quality, optical sensor that scans either 1,000 or 2,000 DPI (dots per inch). 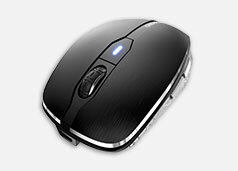 This allows the user to select the optimal resolution for a wide variety of daily tasks. The DPI setting will be indicated by two predefined colors that light the scroll wheel, side panels and the DPI switch: blue for 1,000 DPI and red for 2,000 DPI. Together with a high-speed motion detection of 1.5 meters per second (60 IPS) the CHERRY MC 4000 represents the ideal solution for high-speed professional use. 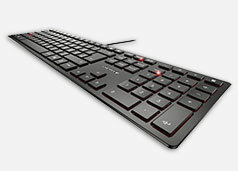 The CHERRY MC 3000 combines functionality with an attractive design and best-in-class ergonomics. The latter doesn't just translate to comfort, but also to fatigue-free working. 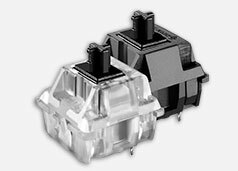 Additionally, the rubber structured side panels provide maximum grip, which results in precise mouse movements. The feature set is rounded off by a 1.8-metre USB cable, to connect the MC 3000 via plug & play to any PC without the need for installing additional software. The MC 3000 is available right now for a suggested retail price of £20.00 / €25.00 and comes in two color schemes, all-black and white/grey.